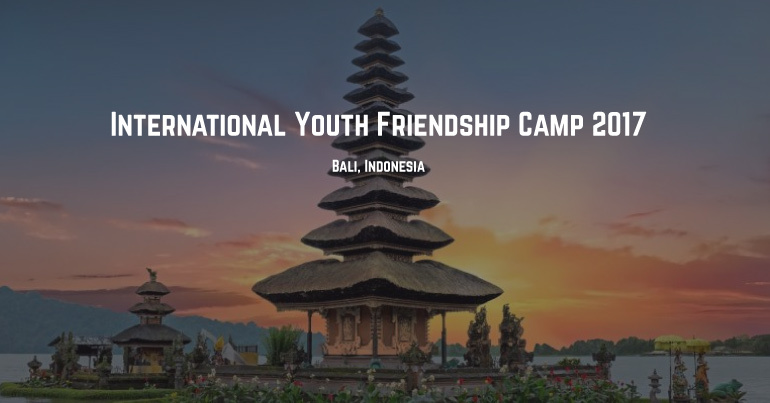 International Youth Friendship Camp #5 (IYFCamp) is a platform camp to unite and meet young generation to have meaningful experiences by doing some valuable activities. After successfully organizing the first IYFCamp in 2013, took place in Yogyakarta, Indonesia, the secon, the third and the fourth IYFCamp in Bali last February, and October 2016, last march 2017, AYFN will hold the fourth IYFCamp with the theme of “Beyond youth program,”. This camp focuses on international friendship, social awareness and cultural exchange. IYFCamp will take place on 21 – 26 August 2017, in Bali, Indonesia.